Long-headed poppy can be almost as tall as Common poppy but usually has smaller and pinker flowers. The petals also have far less or no dark patches at their base. 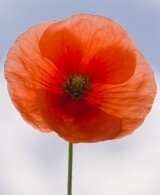 Long-headed poppy can be distinguished from all other British poppies by its hairless, oblong seed capsule. It exists as two subspecies Papaver dubium ssp lecoqii the yellow-juiced poppy, which has yellow latex, and the commoner and more widespread Papaver dubium ssp dubium, which has white latex and petals that overlap at the base. Our seed is from Papaver dubium ssp dubium. Flowers from May to August. 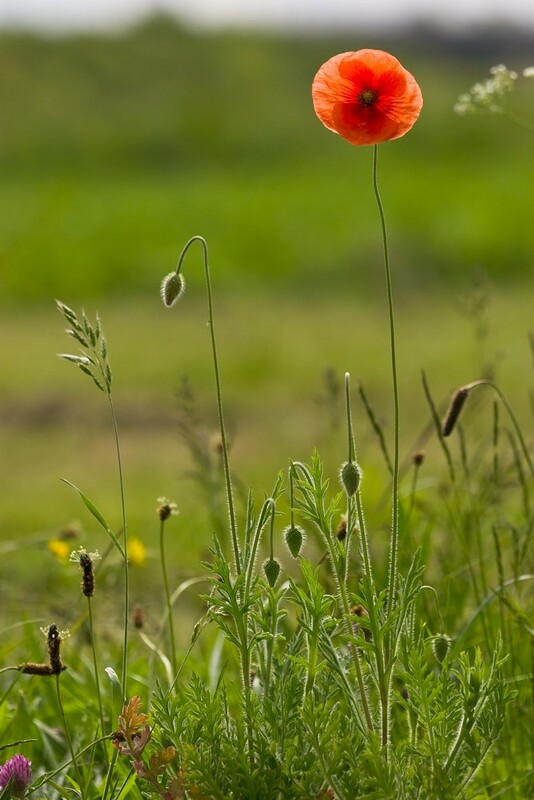 Long-headed poppy is an annual of arable fields, waste ground and disturbed soil on verges and in gardens. It occurs on both light and heavy calcareous soils with the yellow sapped subspecies having a preference for the heavy soils and the white sapped subspecies a preference for the lighter land. Can be sown at any time of the year. Seed can live for a very long time in the soil, waiting for conditions to be right before germinating (usually in the autumn with a few in the spring). As with all cornfield annuals Prickly poppy requires ground subject to yearly disturbance if it is to persist.